In a candid interview with Esquire magazine, Robbie Williams confessed to taking Human Growth Hormone after taking blood tests in Los Angeles showing the singer had extremely low levels of testosterone. “To cut a long story short I went to get some HGH. It’s what all the old fellas are on out there in LA that’s making them look 40 instead of 60,” the 37-year-old explained. “It’s improving their health, their memory, their hair, skin. Could give you cancer. I weighed that up. Thought I’d have it anyway. Went to see a Hollywood doctor. Had my blood tests. Went back. He said, ‘You don’t need HGH. You’ve got the testosterone of a 100-year-old man.’ And then everything made sense. It was kind of an epiphany that day.” Read more. Maybe I should answer that one. I made it up. Not that it was my choice; I was told to. At 6pm and staring at a blank page I simply plucked it from my arse. Not that it was all bad. I pocketed a £150 bonus. You may have read some of my other earth-shattering exclusives. I know showbiz is the sand on which your readership is built. And while I didn’t write tittle-tattle dreaming of Pulitzers, I never knew I’d fear a Booker Prize nomination instead. November 16, 2010 – Take That’s first single with Robbie Williams back in the fold, ‘The Flood’, has been beaten to number one in the singles chart by Rihanna’s ‘Only Girl (In The World)’, even though her song had been out for three weeks. “You know, number 2, number 1, number 3, who cares,” Robbie told ITN a few weeks ago. Watch a report at blinkx. Robbie Williams tells Q magazine he almost pulled out of the Take That reunion after suffering from severe toothache. “I wasn’t in the best frame of mind to meet anybody, let alone the band I used to be in,” he explained. “I was a hermit. I woke up that day with throbbing toothache. I’d taken some Vicodin and I was pretty monged. It was my missus who convinced me I should go.” The veteran boy band’s first album with Robbie in 15 years, ‘Progress’, is out November 22nd. To celebrate the release of his forthcoming greatest hits album ‘In And Out Of Consciousness’, and to mark 20 years in music, Robbie Williams is inviting fans to ask him questions and he’ll answer them on YouTube. The deadline is October 31st. Robbie will be answering his favorite, funniest or most interesting questions on camera in December. “I’m guessing that a few of you out there might like to ask a question or two about the album or myself, and the good people at YouTube have given us the opportunity to converse,” Robbie says in the video announcing the opportunity. Watch it below. August 28, 2010 – Robbie Williams is out with the music video to his new single ‘Shame’, featuring Gary Barlow. The clip stars the reunited Take That members sharing a spot of bromance in the rocky mountains. ‘Shame’ is off Robbie’s second best of album ‘In and Out of Consciousness: The Greatest Hits 1990–2010’, out October 11th via Virgin Records. Watch the Vaughan Arnell directed video below. 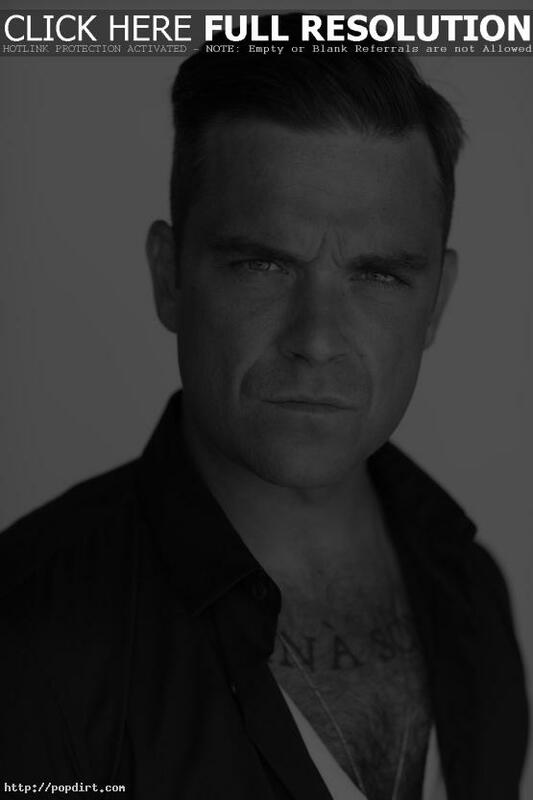 August 25, 2010 – Robbie Williams will be online for an exclusive 30-minute interview on Twitter this Thursday (August 26) at 11:30am BST, and this is your chance to ask him anything you like that can be fit in 140 characters. Follow Robbie at @RobbieWilliams. To ask Robbie your question you must include the hash tag #RW20 in your tweet. So that everyone has a fair chance of tweeting their question at Robbie, the interview will be “open” from 8:00 BST on Thursday. Any questions submitted before 8:00 BST or without the hash tag #RW20 will not be answered. Re.Take That I’m the happiest professionally that I’ve ever been not only have I gained a wife but I’ve also got 4 brothers now too…. Robbie Williams got married to his longterm girlfriend Ayda Field at his mansion in Los Angeles. “At last, Rob is happy. That’s what you want for your kids and this is the happiest I’ve seen him,” the Take That singer’s father Pete said, according to the News of the World. “Ayda is so beautiful and so delightful and so lovely and just so right for him. They are brilliant together.” Watch an ITN report from the eve of the marriage via YouTube below. July 15, 2010 – Take That have announced Robbie Williams is rejoining the boy band 15 years after leaving them to embark on his successful solo career. Williams, Gary Barlow, Howard Donald, Jason Orange and Mark Owen are expected to release a new album in November. Watch a report from ITN about the news via YouTube below. Watch an ITN report about the gossip below. March 31, 2010 – Ahead of his performance at Heart Radio’s Love Music Live event in London a few weeks ago, Robbie Williams chatted with Heart presenter, and Soccer Aid regular, Jamie Theakston. The singer talked about feeling good and relaxed back in Britain, Mark Owen not needing any love advice from him, not getting married anytime soon to Ida – who was in the studio, not having a plan for the intimate show, and doing the “you sing” to the crowd when he forgets the lyrics. The interview audio stream has since been removed. March 7, 2010 – Robbie Williams rocked Echo awards in Berlin, telling the German audience “Ich bin ein Berliner” picking up the best international pop artist, while Rihanna danced with randy robots. Watch a report from from ITN at blinkx.com. 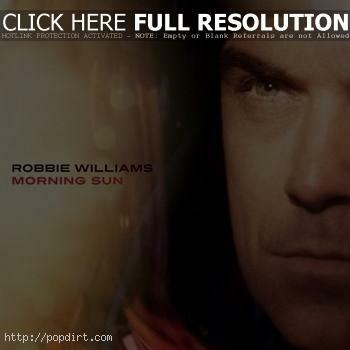 Robbie Williams is out with the video to his new charity single ‘Morning Sun’, official Sport Relief single. The song is the opening track off the British pop singer’s eighth solo studio album ‘Reality Killed the Video Star’, out now on Virgin Records. Watch Robbie rocket out of space on an intergalactic voyage through the stars in the Vaughan Arnell directed video below. February 8, 2010 – A documentary video of the devastation caused by the earthquake in Haiti and the making of the Helping Haiti single ‘Everybody Hurts’ has been posted online. Contributing on the charity release produced by Simon Cowell are Leona Lewis, Rod Stewart, Mika, James Blunt, Jon Bon Jovi, Mariah Carey, Cheryl Cole of Girls Aloud, Alexandra Burke, Miley Cyrus, James Morrison, Kylie Minogue, Westlife, Robbie Williams, Take That, Susan Boyle, Michael Buble, Joe McElderry, and JLS. Watch it via YouTube below. January 26, 2010 – Robbie Williams prepared to depart with fiance Ayda Field at Nice airport on January 23rd after attending Saturday’s 2010 NRJ Music Awards in Cannes. Check out pictures from zimbio.com. just got back to LA after our 3 day trip to Cannes…..
I’ve just been reading the community forum.. I wasn’t aware that you lot voted for those awards…. once again thank you for taking the time…..
Robbie Williams has proposed to girlfriend Ayda Field, popping the question just days before the New Year. Ayda, 30, had the ring on display while watching the former Take That singer play in the annual celebrity England versus Scotland game in Los Angeles. “Robbie has obviously spent a fortune on the ring. It looks amazing,” a fan attending the game told The Sun. “Ayda had a smile on her face all afternoon, as did Robbie – especially since England won the game 4-1.” Read more and check out pictures at thesun.co.uk. Robbie Williams has revealed he’s dumped girlfriend Ayda Field three times due to his fears of settling down. “We broke up about three times in the first year because of me not trusting and not knowing that I really needed this and really wanted it,” The Mirror quotes the British pop star saying. “I will bolt at any sign of anything. And if there wasn’t one I’d make one up. With Ayda I kept looking for one. But she just kept on being this wonderful person.” Read more. 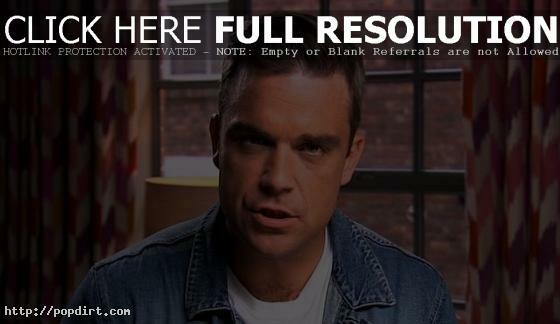 Robbie Joining ‘X Factor’ Judging Panel? December 18, 2009 – Robbie Williams gave two thumbs up as he left GMTV on Thursday (December 17) in London, England. Check out pictures from zimbio.com.